Public relations is the persuasion business. Anyone who wants to learn how to communicate their message and influence the media, clients, employees, their peers, or anyone else will benefit from this witty, no-holds-barred introduction to the art of public relations. In this expanded edition, seasoned PR thought leader Robert Wynne delivers the essentials of PR—how to write compelling press releases, pitch to the media, craft editorials that wow, create persuasive social media campaigns, engage audiences with powerful content marketing, and measure PR success. People are what make companies great. Good leaders know this, and spend time and resources trying to engage and take care of their people. So why are so many people still miserable at work? Bravespace Workplace reveals the unadulterated truth of what it takes to make companies bring out the absolute best in their greatest asset—their people. Using potent examples from 35 years of working with companies striving to be people centered, bestselling author and organizational culture expert Moe Carrick offers a fresh, honest, and direct roadmap for leaders everywhere who seek to make their workplace fit for human life. ​He shows leaders how to focus on six interdependent levers of day-to-day work (culture, leadership, team, meaning, design, and partnership with machines) to ensure that employees grow, connect, and thrive. Because when that happens, performance skyrockets, business results are realized, and everyone wins—employers and employees alike. A playbook for building brands that matter to customers, employees, and the world. More and more, organizations are judged not just for the quality and price of their products but for who they are. A critical mass of customers now expects a business to be a force for good. Beyond Sizzle introduces a fundamentally different approach to branding brings together the best practices of change management, marketing communications, and branding to provide an actionable process for aligning the purpose, performance, and perception of organizations. 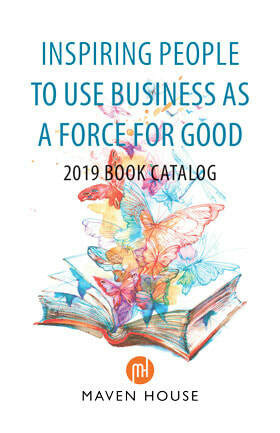 Readers are provided with a workable framework they can use to transform their organizations into brands that matter – organizations that are redefining workplaces, reimagining customer experiences, and creating innovative products and services that are building healthier, more sustainable communities – in turn, creating a better world for us all. The return on investing in this approach to branding is building trust and in turn a reputation that ensures the long-term prosperity of the organization through the creation of a loyal brand community of customers and employees. Twisted Leadership presents a new way of thinking about leadership—as a dynamic, complex social pro-cess, not just a role occupied by someone at the top. By integrating self, super, shared, and socially re-sponsible leadership, the book shows step-by-step how anyone, at any level of an organization, can be a leader based on the context, goals, knowledge, experience, or needs of the group. With this practical, thought-provoking guide, employees at any career stage will be able to find the job they’ll love—one that matches their needs and provides meaning to their lives. Fit Matters is designed to help readers evaluate the fit between their needs and the culture of their current or prospective employer, assess what they need to thrive at work, and develop options if they need to make a change. Persuading people to buy products or services or to support causes is difficult. 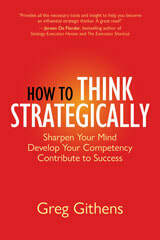 But there are tactics that work, and readers will find them in this book. Straight Talk teaches the essentials of PR—how to write compelling press releases, pitch to the media, craft editorials that wow, create persuasive social media campaigns, engage audiences with powerful content marketing, and measure PR success. Award-winning TV and Reuters columnist Bobbi Rebell shares financial lessons that 30 business leaders—such as Shark Tank’s Kevin O’Leary, Mad Money’s Jim Cramer, Macy's CEO Terry Lundgren, and Zillow's CEO Spencer Rascoff—learned early in their lives that helped them achieve success. Some of the stories are can-did and raw, touching on everything from a personal health crisis, to infidelity, and even homelessness. Rebel uses the stories to offer actionable advice on how anyone can become a successful financial grownup. Speakers for business and nonprofit events are sought out each and every day by meeting planners and program directors. Those who get the call are typically those who will fill a specific need and can boast the correct credentials and experience. The Speaker’s Edge will show readers how to land these speaking engagements, especially ones that pay. This comprehensive book covers all the conventional means for locating and winning speaking engagements as well as clever, innovative tactics practiced by the most successful veteran speakers. ​Cash is lying around everywhere in companies. It’s piled to the ceilings in warehouses and on shelves, hiding in plain sight as inventory. It litters administrative offices, disguised as incorrect invoices, late billings, incomplete forms, input errors, sloppy requests from salespeople. It languishes in the countless places a customer’s order can hide as it crawls from order entry to production and shipment. It sits in company lobbies waiting for sales calls to start. All that cash is retrievable, gettable, bankable – available for re-investment and dividends. Turn Waste into Wealth will help you get that cash by becoming a lean company. Are you a baby boomer business professional struggling to make sense of the new digital era? This book is a travel guide designed to teach you how to build a successful social media marketing strategy. You’ll learn that social media is a way to get in front of ideal prospects, to increase customer retention and loyalty, and to grow any business. It’s fun to use social media to build your business when you have the right guide showing you the way. Everything you need to know is here, organized strategically so you end up with a personalized M.A.P. [Marketing Action Plan] to follow. Add WOW! To your products, services and everyday work. Pick up a smart phone that’s elegant, practical, ergonomic, and intuitive. Shop in a store where the staff has something extra in their smile. Hear a briefing at work that energizes you. What sets these experiences apart – their flair –their charm, panache, taste, élan, dash, spirit, liveliness, energy, joy. Flair shows you how to add meaning and joy to products, services, and everyday work to draw in the audience, customer, or colleague, create a positive and lasting impression, and bring a smile or nod. The authors show that by employing the specific principles and tips found in the book, anyone can create great flair in their work. The techniques in this book are applicable to businesses of any size, to teams, or to individuals. Demystifying Talent Management offers practical advice for all managers, HR professionals, senior leaders, and other employees on how to work together to build a talented and motivated workforce. The book addresses performance, development, coaching, feedback, compensation, and other elements of people management. By taking a 360-degree point of view, the book reveals how each stakeholder views the elements of people management, what they need from each element, and what confusion and conflicts arise among the stakeholders, limiting people’s potential. Using simple, straightforward language, Kim Janson tells you how you can avoid the confusion and conflicts. Otherwise Engaged shines a bright light on the cause of this challenge: a fundamental misunderstanding of the true nature of the Intangibles. It’s a how-to book in that it focuses on the too-often overlooked first step in any such effort: How to stop doing the things that cause people to dis-engage. Once you gain a better, deeper understanding of the true nature of the intangibles, you’ll discover that you already know what to do in order to be more effective in this domain. No need to master new knowledge or techniques. No need for the excess baggage that comes with big, organization-wide programs or initiatives. ﻿If you’re new to project management or need to refresh your knowledge, Project Management Essentials, Third Edition is the quickest and easiest way to learn how to manage projects successfully. The concepts presented are not rocket science. They’re just common sense. The simple techniques and templates in this book provide you with the essential tools you’ll need to be an effective project manager. It’s as simple as that. Many entrepreneurs fail, not because they have a bad idea, but because they don’t have the knowledge and skills it takes to convert their ideas into success. Six Steps to Small Business Success offers a series of simple steps that business owners should take as they work to convert their dreams into reality.. Practical Project Management for Agile nonprofits introduces the reader to the basic concepts of project management. It provides approaches and templates to help nonprofit managers quickly implement practices to help them manage their limited resources, both financial and volunteer. The book also provides a tool to help the project team determine which practices are most appropriate for the project at hand, insuring that the practices are not burdensome — a complaint sometimes heard about project management — but rather agile in their approach. In keeping with this theme, the book explores how social media and other technology tools can be used to assist in the management of time-sensitive projects. Thinking and acting like a warrior can turn you into a big winner in business. The Way of the Warrior in Business shows you how. The book offers hundreds of powerful out-of-the-box tactics to help you develop the killer instinct that turns you into a powerful Business Warrior who wins big and often. You’ll learn how to apply the military strategies and tactics of Sun-Tzu, Mao Tse-Tung, the U.S. Army, and others to attack your competitors, invade attractive markets, and defend market share to maximize your sales and profits. The Way of the Warrior in Business provides numerous assessment tools, checklists, action plans, and other marketing weapons for you to use. In The NICE Reboot, entrepreneur, consultant, and speaker Penina Rybak provides a self-help manual for today’s female entrepreneurs who are looking for practical help, who need to stay current, and who want to be more tech-savvy. The book is filled with practical strategies to increase the reader’s business IQ and technology IQ, hyperlinks to dozens of helpful articles, examples and inspiring quotes from entrepreneurial thought leaders, and philosophical questions for entrepreneurs to consider. It’s a blueprint of best practices for female entrepreneurs to create disruptive innovation and orchestrate change.